Reviews research on teacher retention and quality. 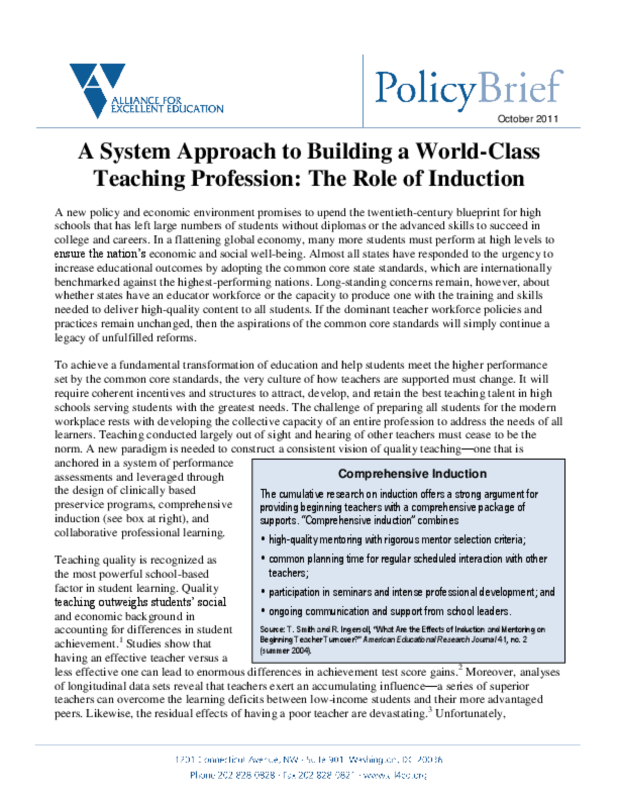 Argues for "comprehensive induction," including high-quality mentoring, common planning time for interaction with other teachers, intense professional development, and ongoing support from school leaders. Copyright 2011 Alliance for Excellent Education.